Television Critics Association, Pasadena, CA; January 15, 2017 – During their session for Acorn TV Originals Girlfriends and Striking Out, Series 2 at the Television Critics Association Winter Tour, Acorn TV General Manager Matthew Graham announces Acorn TV’s first series commission with the return of one of its most popular series, the fun, mystery series AGATHA RAISIN, Series 2 in 2018. 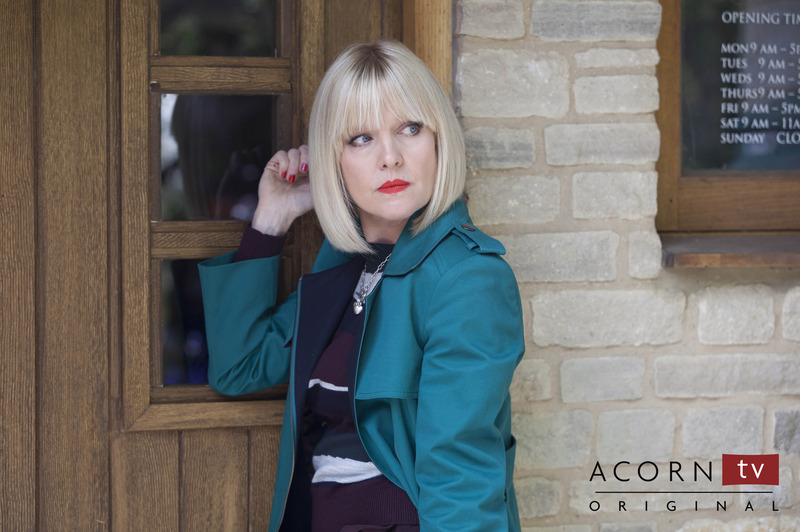 Agatha Raisin was created for television by Free@Last TV. Barry Ryan and David Walton will continue to produce the series with Michele Buck from Company Pictures remaining on board as Executive Producer and Guy Hescott as producer. Acorn Media Enterprises (AME), the UK-based development division for the Acorn brand of RLJ Entertainment, Inc. (NASDAQ: RLJE), has partnered with Free@LastTV and Company Pictures to co-produce the new season along with Acorn Media International distributing in all English-speaking territories and International distributor all3media International distributing in the rest of the world. Acorn Media Enterprises continues to rapidly grow Acorn TV’s Originals slate and is the exclusive U.S. partner for several series in 2017, including the BBC One adaptation of Agatha Christie’s A Witness for the Prosecution, starring Toby Jones, Andrea Riseborough, and Kim Cattrall; Ireland’s #1 new drama series Striking Out, which recently finished production on Series 2 for 2018; ITV murder mystery drama Loch Ness starring Laura Fraser (Breaking Bad); contemporary Irish thriller Acceptable Risk; and BBC One drama Love, Lies & Records. Coming up in 2018, Acorn TV Originals include Series 3 of universally adored BBC comedy Detectorists (Jan. 15), Kay Mellor’s ITV drama Girlfriends (Jan 29) starring Phyllis Logan (Downton Abbey), Miranda Richardson (Stronger, And Then There Were None), and Zoe Wanamaker (Agatha Christie’s Poirot), Striking Out, Series 2 (March 16) starring IFTA winner for Best Drama Actress Amy Huberman, fast-paced Wales thriller Keeping Faith, and international crime drama Straight Forward, among others.